I hate starting any countdown with a spoiler, but here’s an obvious nugget to share— Hall & Oates aren’t one-and-done here over the next 100 days. About the only thing I hate about “I Can’t Go For That (No Can Do)” is having to also spell out “No Can Do” in parenthesis. Released in 1981 this gem became the group’s second number-one hit off their acclaimed “Private Eyes” album and the fourth overall of their career. The song even sat atop the R&B charts—a huge rarity for a white group. 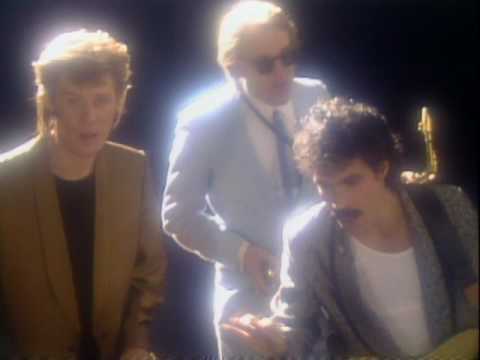 According to a 2014 interview with somethingelsereviews.com, John Oates (the dude who doesn’t sing) revealed that despite most thinking the song is about personal relationships, it’s in fact about the music business and not being pushed around to do things they don’t want creatively. According to a story lead singer Daryl Hall has told (and on Wiki so it must be true), Michael Jackson approached him while recording USA For Africa’s “We are the World” and told Hall he lifted some of the bass for his “Billie Jean” song, at which part Hall told Jackson he’s done the same and it happens all the time in the business. Chart Success: Peaked at number-one on the Billboard singles charts, and finished 1982 ranked 15th on the Billboard Top 100 singles. Fun Fact: This song ended the 10-week run of Oliva Newton John’s “Physical” at the top of the billboard charts. Physical turned out to be the longest-running number one single of the entire decade.